Danielle Emert is a Senior at Heritage High School. She enjoys being involved as the president of National Honors Society, Student Council, National Senior BETA Club, HOSA, FCA, and Key Club. Danielle is also very active in her community by being the Second Harvest Backpack Program Coordinator for her school, assistant with children's programs at Rio Revolution, and a volunteer at Blount Memorial Hospital. 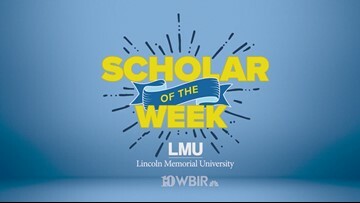 LMU and WBIR want to celebrate her accomplishments and contributions to the community.